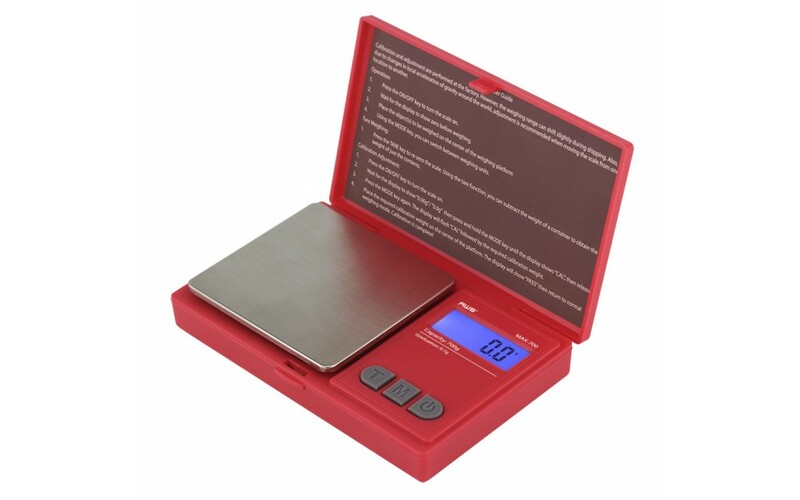 The MAX Series from American Weigh is a great digital pocket scale for those who are seeking high precision on the go. With it's back-lit LCD, results are easy to read even in low lighting conditions. The stainless steel weighing platform is protected by the hard plastic lid when the scale is not in use. Includes two AAA batteries so you are ready to weigh right away. 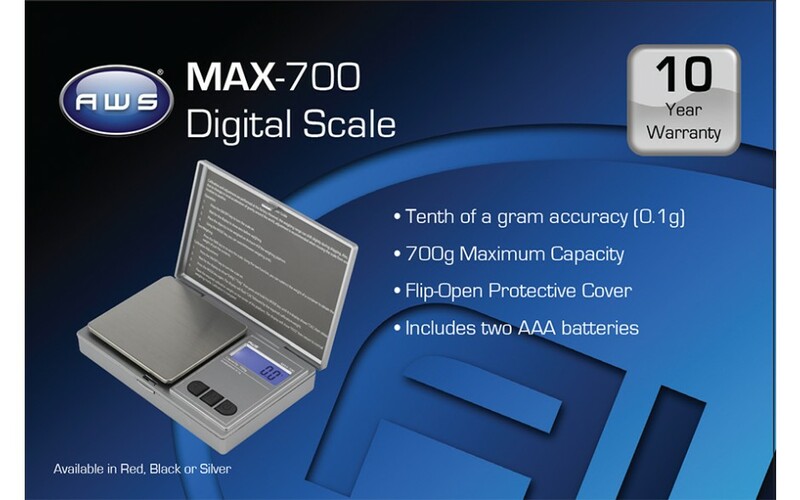 For years to come, the MAX Series will be a trusted name in pocket scales. 3.0 x 5.0 x 0.8 in.